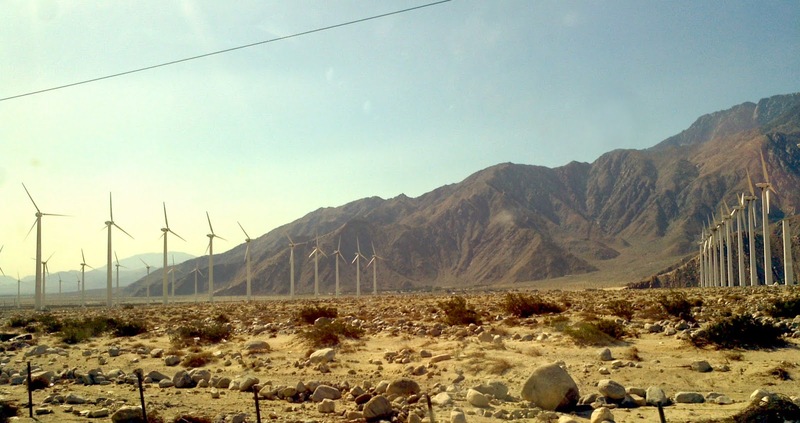 The windmills on the way to "Other Desert Cities." Trying to imagine this without the power line, the fence and the windmills. Every time we drive by I wonder if this government subsidized program is really "green" energy or just a means of transferring wealth from the taxpayer to the corporation. Not a fan of the windmill farms, but the song "Whitewater" on the album Welcome to Sky Valley from your desert's very own Kyuss rocks! Whitewater being the area where these windmills live.